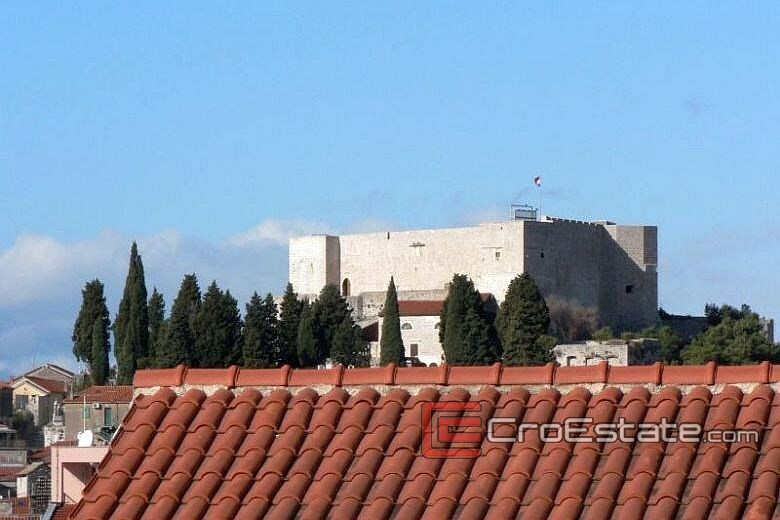 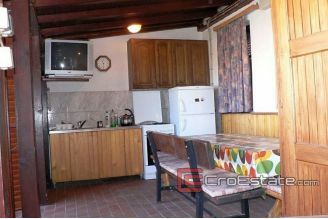 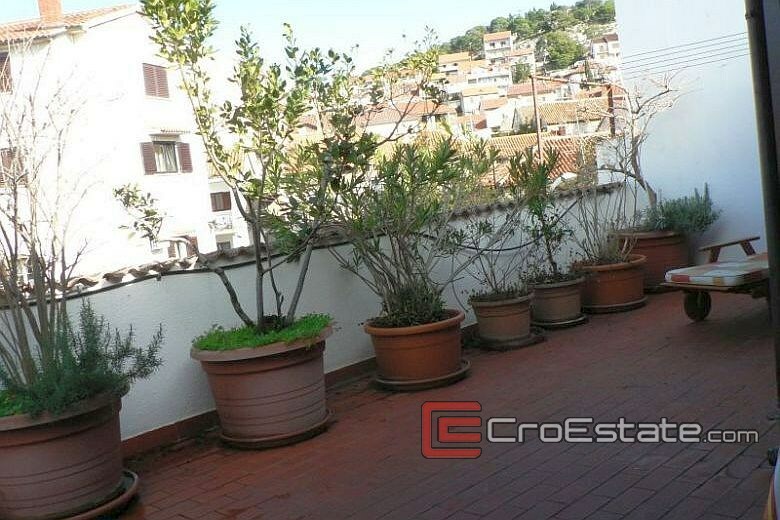 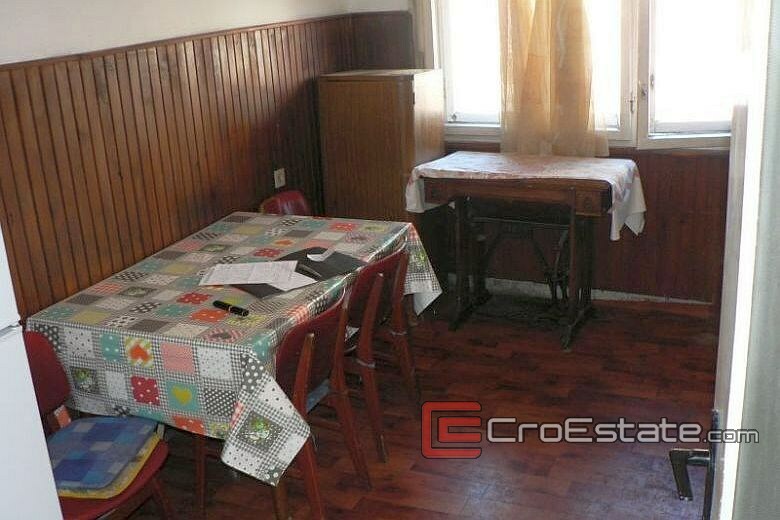 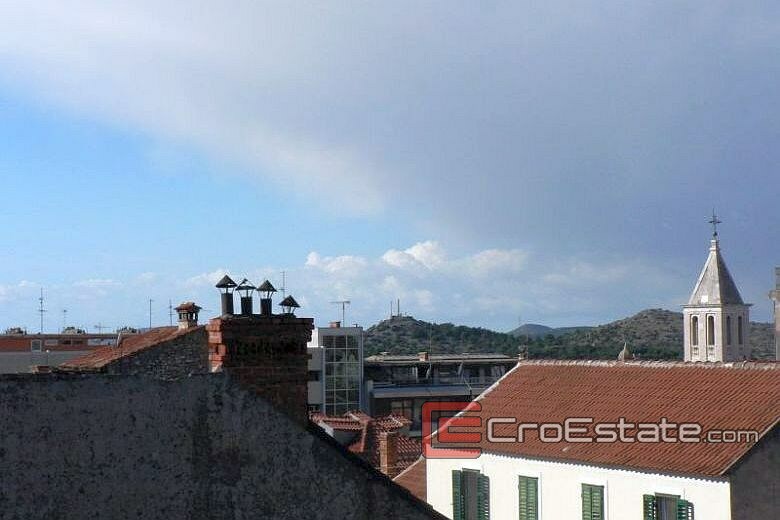 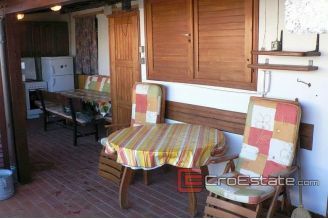 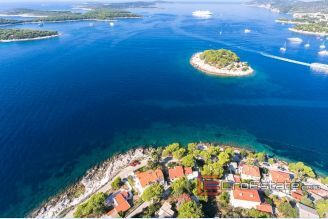 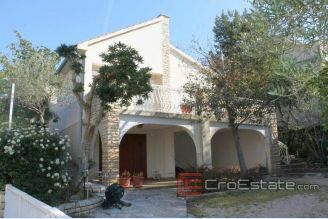 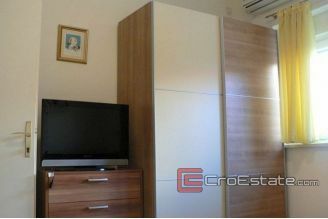 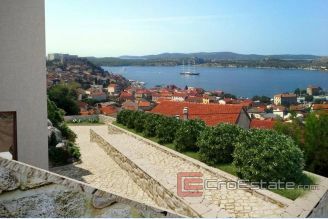 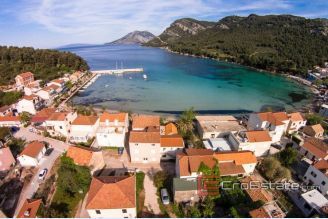 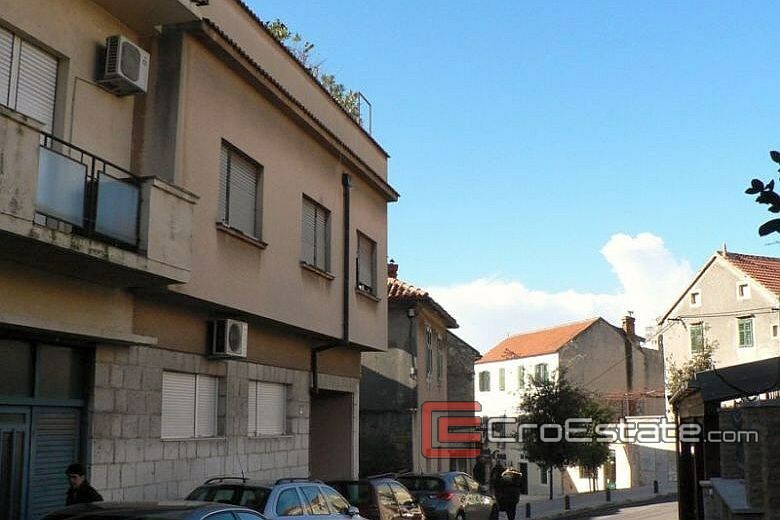 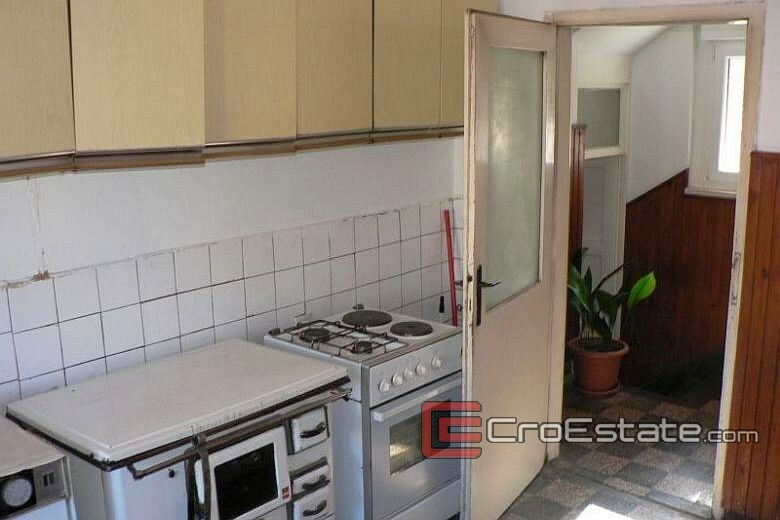 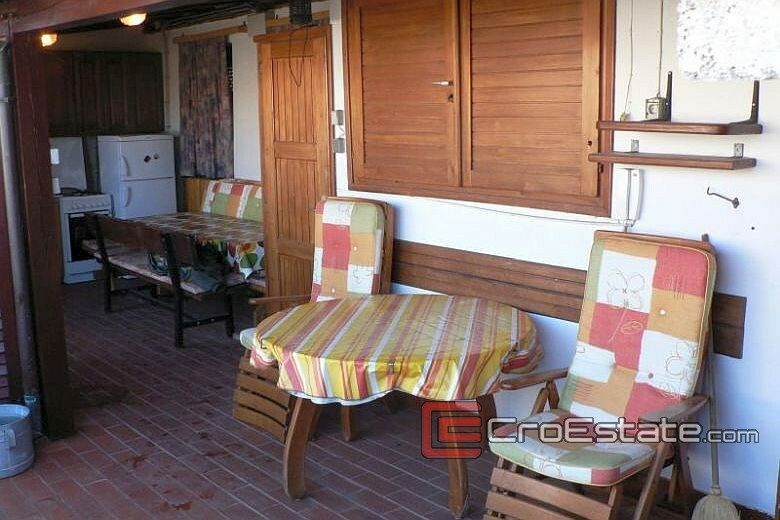 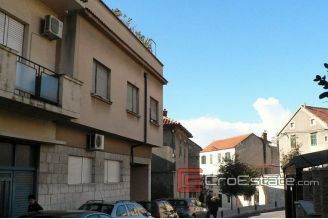 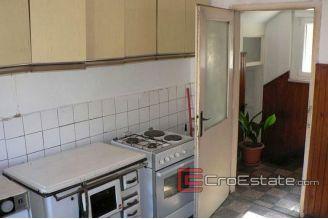 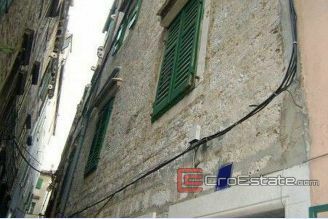 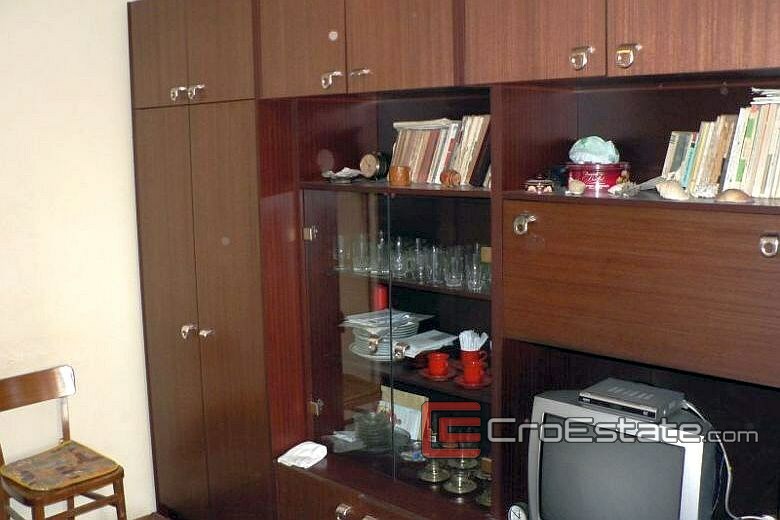 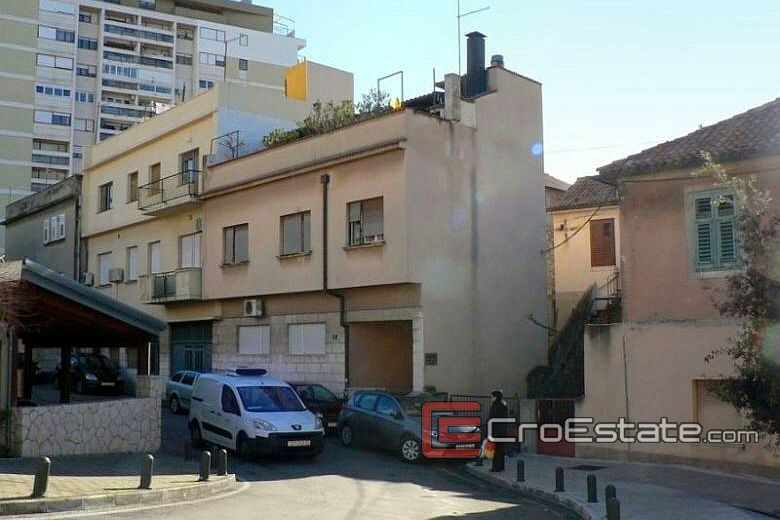 Semi-detached house with a beautiful summer terrace in the center of Sibenik, with views of the city sights. 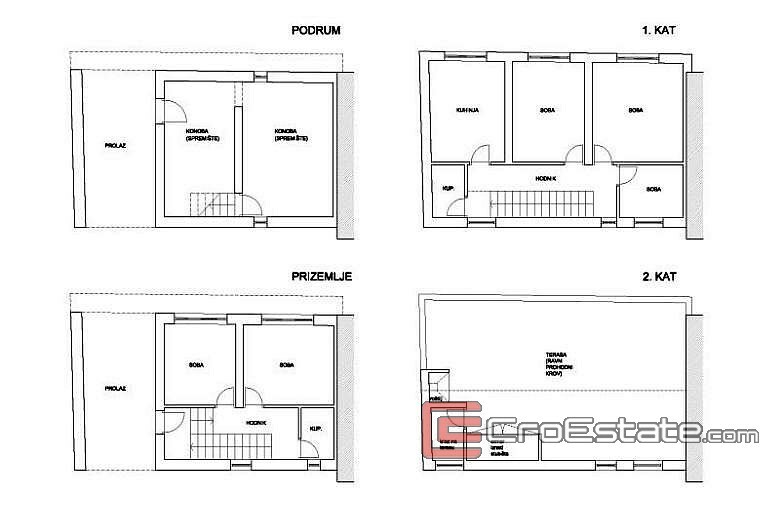 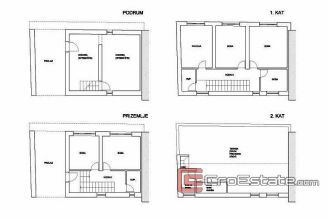 The house consists of a basement (33 m2), ground floor (two bedrooms and bathroom, area of 33 m2), first floor (kitchen, dining room, three bedrooms, bathroom, total area of 57 m2) and terrace. 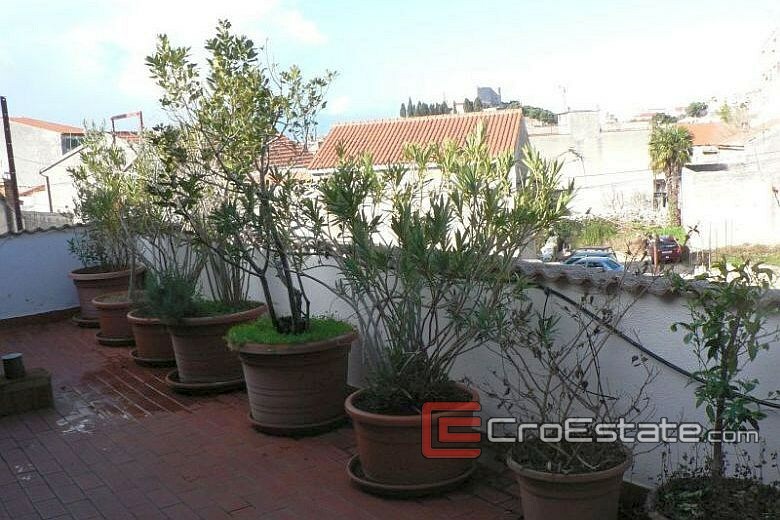 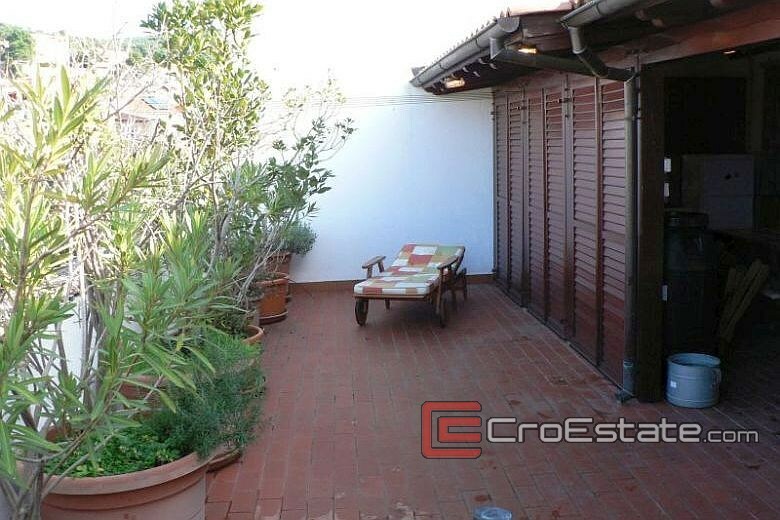 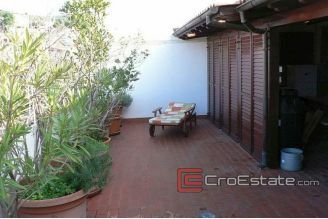 Covered part of the terrace is 27 m2, and an uncovered part (with barbecue and outdoor shower) is area of 30 m2. 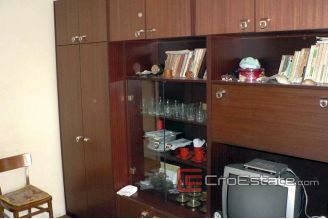 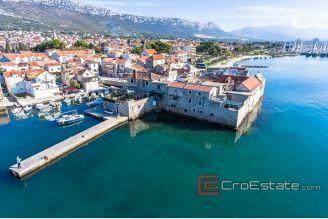 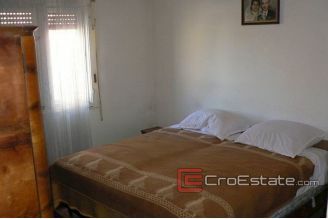 The house is located 5 minutes of walk from the city center and the city's waterfront. 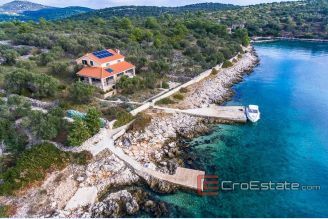 Exceptional tourism potential, as well as the ability of adaption into business-residential building and/or construction of additional floor.